"The question of Toshi Ranbo’s governing has been a topic of discussion throughout the Empire. It is a strategic military location for the whole of the north. The fate of the city weighs heavy on my mind." –Shinsei Toturi, "The Specters of War"
The Toshi Ranbo Kotei Series for Legend of the Five Rings: The Card Game has now come to a close. 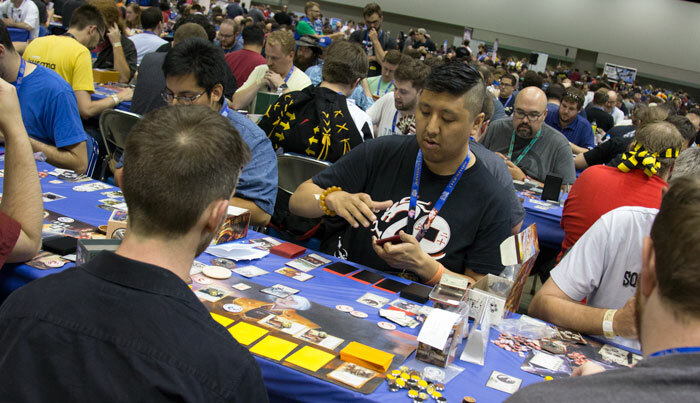 Hundreds of samurai made their way to Gen Con Indy to participate in its Grand Kotei and the series' final swordplay and diplomacy. Their efforts drew the attention of the Emperor himself, and now we have the clarity of the Emperor's decrees. There were three points contests ongoing throughout the Toshi Ranbo Kotei Series, each of which is now resolved. 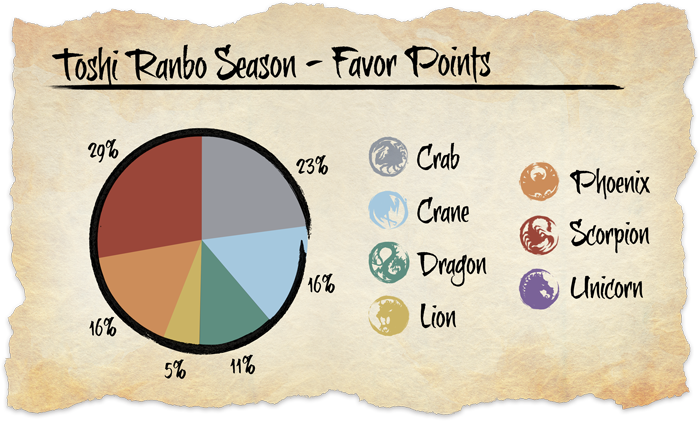 The Hatamotos who competed in the Toshi Ranbo series earned and lost Favor Points with their wins and losses during each Day 1 event. These determined which clan would have the honor of hosting the Emperor's Winter Court. This was a close contest that came down to the final battles at the Gen Con Indy Grand Kotei, and the Scorpion were only able to claim their victory at the very end! In addition to battling for the Emperor's favor throughout the Toshi Ranbo season, the Great Clans of Rokugan sought new ways to align themselves with the five elemental rings. In the end, each clan gained a new elemental role, and players can now use either of their clan's elemental roles in all Organized Play events. These roles are also listed on the Clan Roles section of the Legend of the Five Rings: The Card Game Organized Play site. They go into effect immediately. The third and final contest featured in the Toshi Ranbo season was the struggle for Toshi Ranbo itself. Although the controversy around Toshi Ranbo originally arose from a longstanding feud between the Crane and Lion, each clan had its own reasons to seize the city—as outlined in the story "The Specters of War"—and it was ultimately the Scorpion who bent the Emperor's ear and convinced him to grant them authority over the city. 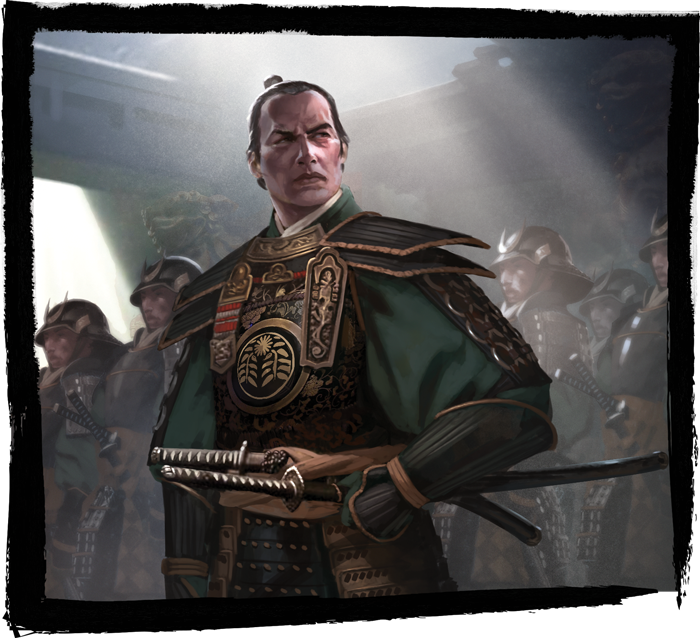 Although this northern stronghold is far removed from traditional Scorpion lands, no one can doubt that the clan and its leadership will find some way to use it against the Crane, the Lion, and everyone else who would seek to interfere with their plans. The Scorpion will find their new province in an upcoming product. Of course, the battles at the Grand Kotei saw the rise and fall of many samurai—both on the battlefield and within the Imperial court. We are pleased to honor all those samurai whose success earned them the title of Hatamoto, and you will soon find them listed on the Hatamoto section of the Legend of the Five Rings: The Card Game Organized Play site! Now that we've seen the official outcome of the Toshi Ranbo season, we turn our eyes toward the future. What will we see from the new elemental roles? How will they impact the clans' performances at the Winter Court World Championship? And how will they carry us into the Elemental Championships and the next Kotei Series? The answers to these questions lie mainly with you, the players, and your exploration of all the game's possibilities. In the meantime, keep your eyes to the horizon. 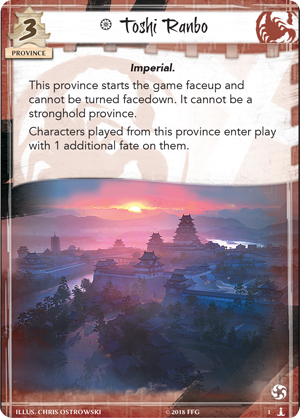 We will soon share more details of the 2018 Winter Court World Championship and the next Kotei Series!